This topic contains 0 replies, has 1 voice, and was last updated by Emmanuel Menendez 4 months, 1 week ago. Perfect for getting into karting, come join us in our FKC Series! Race ready, Add fuel and go. 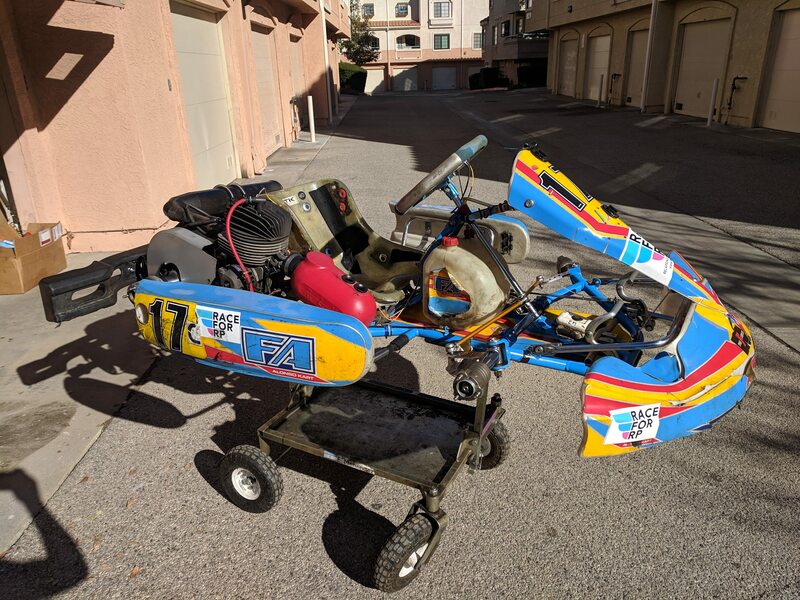 This kart is fast, never been wrecked, straight and maintained properly. Brake rebuilds done twice a year, Always ran on skidplates. Minimal tube wear. OTK Pedal extension kit for younger/smaller drivers. 2 sets of 1 race day old LeConts. This topic was modified 4 months, 1 week ago by Emmanuel Menendez.